Michelle Lacy, who served 7.5 years in a state prison for drug charges, has managed to do what she says many of her friends from her time in prison weren’t able to do: start over. “It’s not easy getting out of prison, especially for as long as I was in there,” she said. 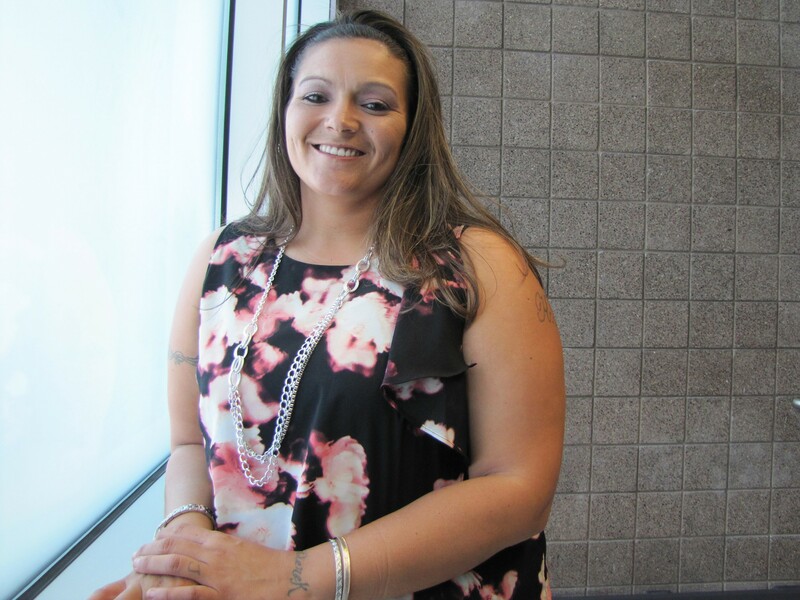 Lacy, who was released in January, completed the Arizona Department of Corrections Prisoner Transition Program, which allowed her to be released 90 days early in exchange for finishing programs designed to help prisoners assimilate into society. She said the program helped her secure a job. “I learned that I have to forgive myself and really let go of the shame and the guilt if I want to be successful,” Lacy said. Two prison rights advocates contend that the Department of Corrections isn’t fully utilizing the program, which currently has no cap on how many inmates can participate. Out of the 19,213 inmates released from state prisons in fiscal year 2014, 943 completed the program. From fiscal 2010 to 2014, no more than 6.2 percent of the total released inmates completed it. The advocates say these numbers represent a lost opportunity to reduce recidivism, as inmates who take part in the program are about half as likely to commit another felony, according to a Department of Corrections study. The report cautioned against making conclusions based on its results because of inherent differences between those who participate in the program and the general inmate population. Jeff Taylor, a lobbyist who represents the Salvation Army and has advocated for the expansion of the program, said that what he considers a small number of inmates cleared for it translates into increased demand for the Salvation Army’s services, such as drug treatment and homeless shelters. The Prisoner Transition Program, established in 2003, is paid for by the Transition Program Fund. Five percent of inmates’ wages contribute to the fund. According to background provided to state lawmakers this year, participating inmates must, among other requirements: not have been convicted of a sexual offense, arson, violent crime, domestic violence or driving under the influence; be classified as low risk; be current on restitution; maintain “civil behavior” while incarcerated; and demonstrate an ability to benefit from the program. Andrew Wilder, Department of Corrections spokesman, said information regarding eligibility is readily available to inmates. Caroline Isaacs, program director for the Arizona office of American Friends Service Committee, said there is a lack of information on how the department determines what constitutes low risk. “Part of the trouble here is there is very little outside scrutiny or assessment of the Department of Corrections,” she said. Wilder said he’s confident in the department’s policies governing prisoner eligibility. The program’s eligibility requirements were loosened in February when the department changed its policy to allow more inmates with major disciplinary infractions to participate, a change Wilder said will bring an estimated 300 more into the program. It would take a change in state law to expand eligibility for the program further, Wilder said. A bill introduced this year by Sen. Steve Pierce, R-Prescott, would have increased funding for the program and expanded access by making it available to those serving time for completed or attempted lower-level felony: criminal trespass and burglary; criminal damage to property; theft; forgery and related offenses; credit card fraud; or drug offenses. It also would have removed eligibility requirements that inmates have a nonviolent risk score as determined by the Department of Corrections, make satisfactory progress on individualized corrections plans, maintain civil behavior in prison as determined by the department or demonstrate an ability to benefit from the program as determined by the department. The bill stalled despite winning unanimous approval from two Senate committees. The Prisoner Transition Program is paid for by the Transition Program Fund, but records show this money has been transferred out of the fund multiple times during last five years. According to the Executive Budget for the 2014 and 2015 fiscal years, $2.8 million was moved in 2012 from the fund to the help the Department of Corrections pay employees after the elimination of furlough days, which were in place the year before. Three times in the last five years, money from the fund was transferred to the state’s general fund, according to executive budgets. In all, $1.1 million from the program’s fund has been transferred to the general fund. Isaacs said she believes that attention the program received this year when lawmakers considered expanding it will ultimately benefit inmates and the public. 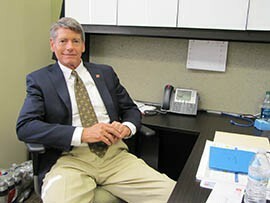 Jeff Taylor, a lobbyist for the Salvation Army, says expanding the Prisoner Transition Program would reduce recidivism. Michelle Lacy, released from prison in January after serving 7.5 years, said the Prisoner Transition Program helped her reassimilate and find work.